Ruggedized Portable Telemetry Signal Simulator. 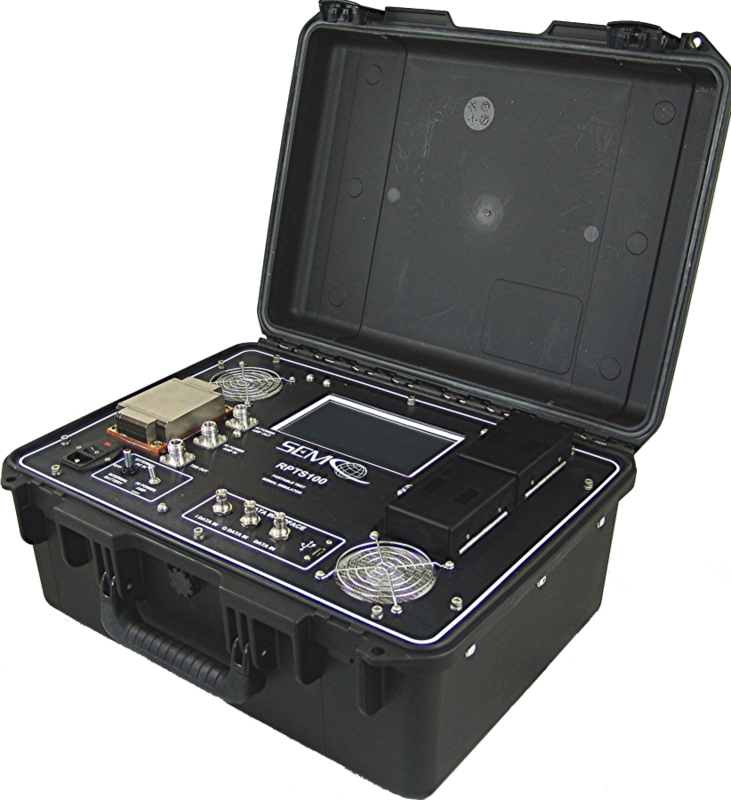 The RPTS100 Telemetry Signal Simulator is a ruggedized portable configuration that is housed in a waterproof enclosure and includes an embedded, removable 12 VDC battery. The RPTS100 Telemetry Signal Simulator has a front panel 7″ Touch Screen Control and Display and switchable 115 VAC or 12 VDC battery operation. Single Channel RF Output; Single Band (2185-2485 MHz) or Multi-Band (1415-1585, 1650-1850, and 2185-2485 MHz); PCM/FM or Multi-Mode Modulation (PCM/FM, PM, BPSK, QPSK, SOQPSK, and Multi-h CPM); external modulation and binary file playback; 7″ Touch Screen Controls; integral 12 VDC battery compartment; switchable 115 VAC and 12 VDC power input; waterproof case.